Have I Formed a Contract? What must happen to form a contract? Like the NFL’s catch rule, it’s not always clear. Most of us enter into contracts on a regular basis. We buy and sell goods and services; we make promises in exchange for things we want. This article addresses some of the fundamentals associated with forming a binding contract. Generally, to create a contract one party must make an offer to another party, the other party must accept that offer, and something of value or perceived value must be exchanged. That something is called consideration. The offer may be for a good, service, promise, etc. The offer must be reasonably certain. For example, John offers to sell Larry his horse, Hurricane, for $70,000. Unless John owns multiple horses named Hurricane, that statement is probably a sufficient offer. If John had not named a price, his offer would not be certain. Offers may be revoked before they are accepted. An offer will lapse if it is not accepted in the stated time or a reasonable time. A reasonable amount of time to accept an offer is dictated by the surrounding circumstances. A reasonable time to accept an offer to buy a perishable item is likely shorter than an offer for non-perishables. The next step to forming a contract is accepting the offer. Acceptance must be communicated to the person who made the offer (or his agent), and acceptance must be clear and definite. So, if Larry tells Bob (who is not John’s agent) that he accepts John’s offer, has Larry actually accepted? No. Larry’s statement was not made to John. If Larry says to John, “I think I’d like to buy your horse”, Larry has expressed a desire to buy Hurricane but not a clear and definite acceptance of John’s offer. Communicating acceptance, however, does not necessarily require a person to sign a contract or say “I accept.” If upon hearing John’s offer, Larry handed John $70,000, that act would constitute acceptance and performance of Larry’s contractual obligation. If, instead, Larry says to John “I’ll pay you $60,000 for Hurricane”, Larry has rejected John’s offer and made his own offer (a counteroffer) to purchase Hurricane, which John can either accept or reject. Usually, consideration must be exchanged or promised to create a contract. The consideration for John and Larry is money and a horse. Consideration consists of either a benefit to the promisor or a loss or detriment to the promisee. Consideration may be provided by or to someone who is not a party to the contract. Also, consideration is generally regarded as adequate, except when its inadequacy would “shock the conscience” or is inadequate as the result of fraud. In other words, bad deals are usually enforceable. Under certain circumstances where consideration is not specified, but one party relies to his detriment on a promise made to him by another party, the promise may still be enforced. For example, John assures and reassures Larry that he is going to give him the rest of the $10,000 he needs to build a new barn for Hurricane. “I love Hurricane and don’t want him setting hoof in your old barn. I’ll give you the money”, says John. Larry, in relying on that promise, demolishes his old barn and starts construction on the new barn. John then informs Larry that he has decided not to give him the money. Larry may be able to enforce John’s promise of $10,000. However, if Larry did not believe that John would give him the $10,000 but demolished his barn and started building a new one anyway, there would be no reliance and no enforcement of John’s promise. To form a contact, the parties must also have a mutual understanding of the subject matter of the contract and the essential terms. Under a scenario where Hurricane had died two weeks before John offered to sell him to Larry, John knew of Hurricane’s demise, but Larry didn’t. John and Larry don’t have a mutual understanding. Additionally, there is likely inadequate consideration and possible fraud in this example. Larry thinks he’s getting a living horse for $70,000 and John knows otherwise but doesn’t tell Larry. Contracts can be oral, but some must be in writing and signed by the person to be charged with the promises (e.g., contracts to loan money and contracts for the purchase and sale of real estate). Contracts can be formed through an email or text message exchange if such satisfies the elements of a contract. Contracts range in complexity and terms. If you need help preparing, reviewing, understanding, enforcing, or defending a contract, consult with an experienced and qualified attorney. Our economy has changed a great deal over the past several decades, and today most people work in a service industry. These businesses deliver services to customers or clients with whom they create and maintain relationships. In those relationships, the business usually solves some problem for the customer. When a business’s essential function is solving problems, you would expect those businesses who are the least effective problem solvers to be the ones who get sued. However, failing to solve a customer’s problem is only one of the ingredients that leads to a lawsuit. Surprisingly, error rate alone is not a very good indicator of which businesses are likely to get sued and which are not. When people get sued they will almost always ask themselves, why did this happen to me? There are many reasons lawsuits get filed. The person who has been sued may not have been able to control the circumstances that led to the suit. However, a significant cause of litigation may be easily controllable. In his book Blink, Malcolm Gladwell writes about the observations of Alice Burkin, a medical malpractice lawyer. Ms. Burkin is quoted as saying “In all the years I have been in business, I’ve never had a potential client walk in and say, I really like this doctor, and I feel terrible about doing it, but I want to sue them.” In fact, Ms. Burkin’s clients had flatly refused to sue doctors they liked even when confronted with evidence that their injuries were that doctor’s fault. Most lawsuits start with a call to a lawyer’s office. What precedes most of those calls is a relationship that is no longer working. A study of medical malpractice suits showed that the difference between doctors who had never been sued and those that had been sued multiple times was roughly three and a half minutes. That’s the difference in the amount of time the doctors who had never been sued (18.3 minutes per visit on average) spent with their patients versus the amount of time the doctors who had been sued on multiple occasions had spent with their patients (15 minutes per visit on average). What was happening during that time? According to the study, not much related to health care. Instead, the physicians were using that time to set expectations and to build a personal relationship with the patient. For example, the physicians who had not been sued used orienting comments like “First, I’ll examine you then we’ll talk about your problem” or “l’ll leave time for your questions.” Also, the physicians that had not been sued more often laughed and made small talk with their patients during the visit. As part of your business’s risk management strategy, you should consider the following: 1) Set clear expectations with customers/clients when starting a communication, 2) Make time to ensure that you have answered all of their questions (even ones that may have occurred to them during the call or meeting), and 3) Take the time to talk to customers about how they are, and laugh and joke with them when appropriate. 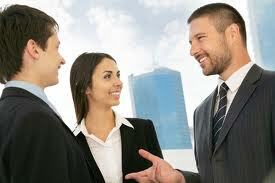 Show some interest in their personal lives and not only the commercial transaction in which you are involved. If you do these things, your customers will probably like you (or like you more). In general, people don’t sue people they like. Everyone makes mistakes. Sometimes those mistakes don’t hurt anyone. But when they do, the difference between a lawsuit being filed against you or not could be as little as three and a half minutes. Samuel B. Burke is board certified in Civil Trial Law by the Texas Board of Legal Specialization. Sam can be reached at sburke@dentonlaw.com or http://www.dentonlaw.com.